Could sikkim standoff lead both countries in war? : Why and Why not? Its been almost two months to doklam row both India and China still facing eyeball to eyeball and its look like both Indian army and PLA are ready to continue the faceoff till winter. Diplomatically they are trying to solve the faceoff but chinese media and diplomats are more aggressive. These two big asian giants are facing each other and this faceoff are definitely going to affect their diplomatic and economic relations. Lets go back to around Six month ago, relationship between both countries are going good, there is no doubt that the consider each other as a rival and both are trying to be a dominator in asia, but still they were doing good both in diplomatic and economic relations until this doklam row started. what is this doklam row? 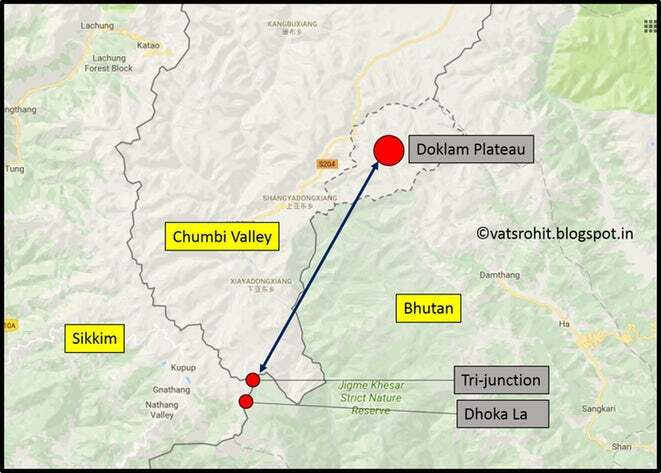 At the tri-junction all three sides were agree on an agreement not to make any construction in the area and keep the status quo of the area but china want to construct the road to the tri-junction and this is a serious threat to both India and Bhutan. China is trying to push the tri-junction to dhoka La which is India territory. 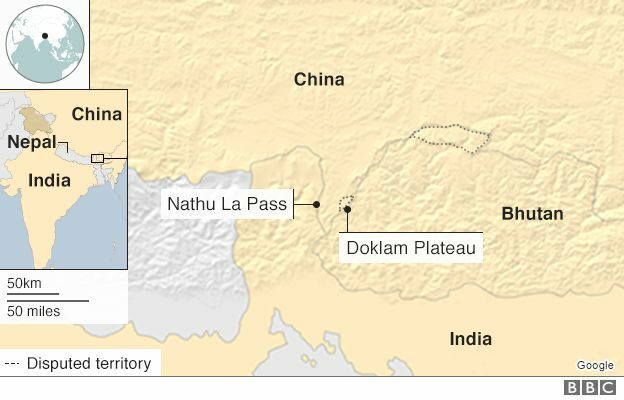 China is also trying to get access to Doklam Plateau which is higher territorry and will give china a tremendous advantage over India and Bhutan. Why India has an edge over China? As doklam is a disputed territory between Bhutan and China and controlled by Bhutan who has better relationships with India and as per agreement between India and Bhutan, India has the responsibility to protect Bhutan from all threats to its security. At the tri-junction, India and Bhutan has strategic advantage as the are at higher place and they can observe activities of china. Chinese territory is surrounded from both Indian and bhutanese side and they are in the artillery range of Indian army. China, definitely won a war over India in 1962 but still have very less war experience and China already accepted a defeat from India in 1967 at nathu La and sikkim emerged as a state of India in 1975 after referendum . India has a prolonged war experience in high battlefield with pakistan (after Sino India war 1962) in 1971 and 1999. India is a huge market for the world and china always pushing its goods in India and willing to make huge investment in Indian market. In other words, China has great economic dependency on Indian market and if this standoff lead both countries in war, this war going to hit all economic relationship and this going to be an economic threat for china. The war in one hand going to hit both countries but in other hand, the breaking economic relationship is going to hit china real bad. Is the standoff going to lead a war? As per my opinion, the standoff is not going to lead a war in current situation but as china adopted a policy to stretch its territory, if it’s pulling its troops from the area, china is going to hit back with better plan and that could lead both countries in a real intense war. In current situation, china know that Indian side has an advantage over china and they got more than enough time for preparation to hit back. As china is facing more challenges in South china sea from major players like Japan, USA, Vietnam and India has also cleared its stand over freedom of navigation in south china sea. If the standoff leads both of them in war, other countries who already have territory dispute with china could stand together and that will push china far behind which will be a great disadvantage for china. China is in dilemma in the situation and as western media quoted it was surprising for china when india stands for bhutan in their disputed territory, china is trying to convince the world that their step was right. In context with India, China was blocking India’s NSG entry from a long time , vetoed its step to declare Masood azhar as a global terrorist and its look like china will continue to do the same in future. In the standoff in doklam, both countries can be agree to pull back leaving few there to observe and in that case china could hit back with a greater preparation and for that india should be well prepared to respond. Agni-VI: India’s Next Missile all set to Surprise the World ?